HP is one of the prominent PC makers in the world. My first laptop was HP and while it has been some years to that, the laptop is still with me working great. With the shift to mobile arena, most PC makers had to change gears as well and HP is no different. Where some like Dell failed in the venture, others like Lenovo are doing fine. In fact, Lenovo is buying Motorola and increasing its presence in the world. HP however had followed a weird trajectory. It first bought PalmOS and launched phones based on WebOS. Unfortunately, that experiment failed in the onslaught of Android. Now, HP plays in the tablet/phablet ground only with no phones in the market. These large screen size are quite big in general but are a rage in India. 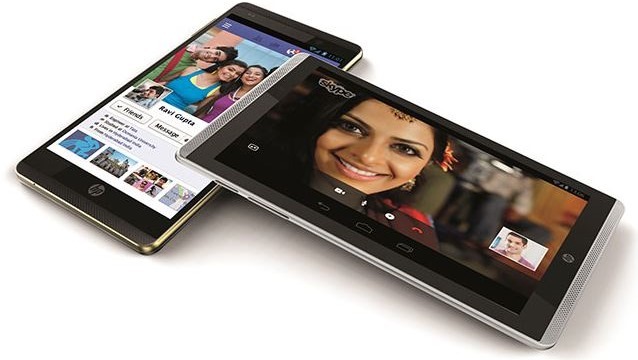 HP has realized this and launched its HP Slate 6 and HP Slate 7 Voicetab to cater to this. HP Slate 6 is priced Rs. 22990 where Slate 7 is priced at Rs. 16990. Below are the specifications of both the tablets. The Slate 6 is available and can be bought instantly while Slate 7 will be available from next week. Along with the tablets user will get 25 GB of Box (online) storage and HP applications like HP Connected Music, HP e-Print, HP Connected Photo and HP File Manager. Personally, I am not sure why the smaller 6” one is cheaper than the 7” one but I guess it’s the phablet/tablet distinction. Also, I am not sure whether anyone would choose these two in comparison to Nexus 7 or Samsung Mega and Galaxy Grand 2. HP will have to market it well to make a dent in the market. What is your take on this? With so many great phones and tablets around will you be interested in HP phablets?